(Mark Huffman @ ConsumerAffairs) The Federal Communications Commission (FCC) is preparing to wage war on robocalls and is trying to mobilize the technology industry to join the cause. The FCC held a meeting with 30 of the industry's major players to talk about ways to hang up on these machine-generated calls, which are closely associated with scams, or products and services of dubious value. You may be familiar with these calls. A recorded voice might congratulate you on winning a free cruise or tell you your business qualifies for a $250,000 loan. Or, the voice may claim to be calling from the IRS, warning you of impending jail time if you don't pay back taxes immediately – as in right now, over the phone, with a prepaid money card. The meeting was intended as a brainstorming session in hopes that Google, Apple, AT&T, and Verizon could find ways to limit or prevent these calls, which FCC Chairman Tom Wheeler calls “a scourge” and the biggest source of consumer complaints. Wheeler says scammers outside the U.S. can use Voice over Internet Protocol (VoIP) to mislead voice networks. The bad guys have the ability to spoof a legitimate phone number that easily fools most caller ID programs. FCC Commissioner Ajit Pai pointed out that there has already been some productive accomplishments in this area. He points to a 2013 competition among developers that resulted in Nomorobo, an app that he says has already stopped more than 126 million robocalls. The FCC has already taken some action. A year ago it adopted a proposal making clear that consumers have the right to control the calls they receive on both landline and wireless phones. That move also gave providers permission to implement robocall-blocking technologies. Wheeler says the government needs tech firms to take it from here, noting that scammers are using technology to stay well ahead of regulators. The tech firms attending the meeting apparently got the message. 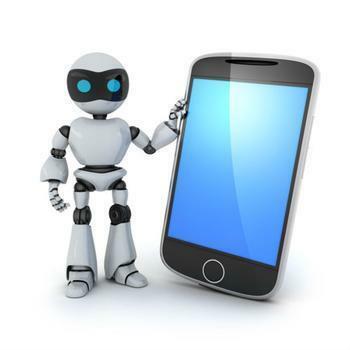 Reuters reports most have signed on to become part of a robocall strike force that will report back to the FCC in October on what it has come up with.